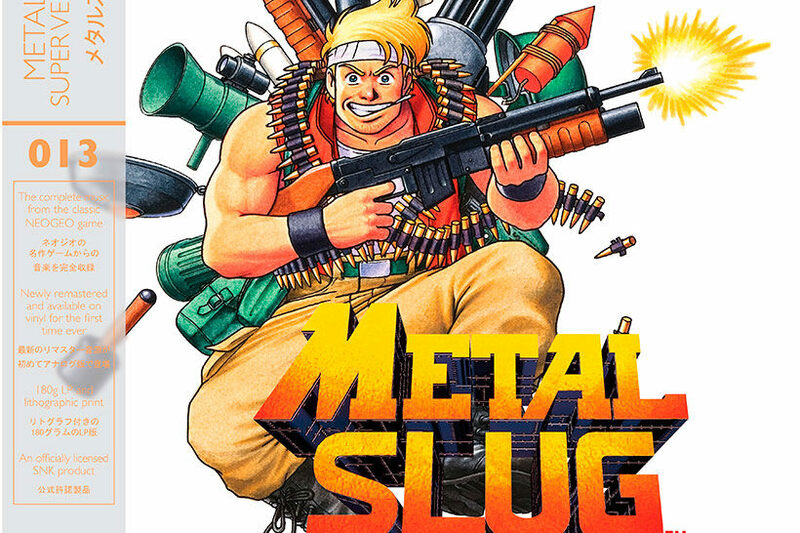 Metal Slug drew all sorts of excitement when the series hit arcades in the ’90s on SNK’s fan-favourite Neo Geo platform. Nazca’s legendary development on the iconic visual splendour and awesome run and gun gameplay have been the focus of all sorts of fan discussion over the years, but with this release from Data Discs we get to peel back these layers to discover an interesting and bombastic soundtrack that draws on some impressive nostalgia. 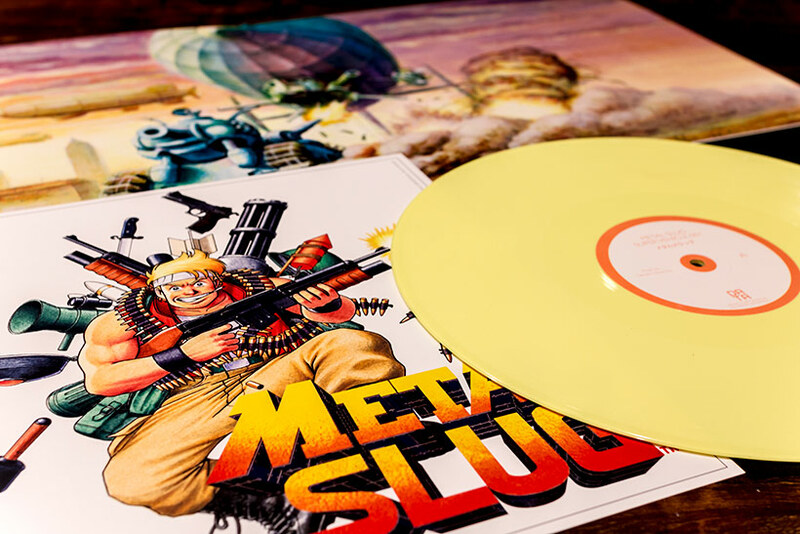 Metal Slug’s soundtrack kicks off with the sparse attract screen – it’s nothing terribly impressive, but the military-otaku attention to detail and subsequent drum roll works as the perfect setup for what becomes an eclectic mash up of genres. This really kicks from the third track – we’ve got sampled brass and military drums mashing the iconic uplifting theme that is continually reprised in the game, and happens to accompany the first level’s onslaught. Things aren’t quite as they seem however – half way through the marching band is swiftly evolved into 80s synth jazz fusion with twangy slap bass, synth pads and sampled sax solos. Following some superlative power-up voice samples we move onto synth brass, slap bass and lead guitar which crunch alongside other 80s synth staples and jazzy solos in the follow up track with some great bridges. 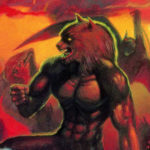 The album takes a break to mash in a slew of 90s orchestra hits, synth voices and military drums with some lighter passages for the game’s frantic third stage before reprising these elements for the boss music with menacing bombast before ending Side A with the memorable level complete jingle. Cue up Side B and after the iconic “Rocket Lawn-chair” we’re back in Metal Slug’s synth city with crunchy guitars and sampled brass, orchestra hits and lovely sax solos – composer Takushi Hiyamuta is clearly revelling in bringing a sampled saxophone into the world of ADPCM, and you know what? 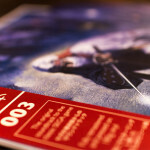 It’s awesome, absolutely awesome. The tempo kicks up a touch with more menacing lead guitars and a touch of sampled organs amongst the usual array of brass and rock drums as we get closer to the end of the game with some awesome 80s riffs making for some interesting passages. The final stage’s music revisits the theme from the first stage by bringing back similar arrays of arpeggios and a focus on synth brass and military drums. There’s some additional fanfare and requisite orchestra hits (just to remind you it’s the 90s) with a few minor passages to break up the momentum, but we’re talking high energy/final sprint stuff here. If nothing else it’s enough to encourage you to keep pushing in $1 coins (we’re sadly far away from 20c pieces by this stage in Australian arcades) and finish the damn game. Despite the lack of vocals, this is a great pop track that manages to incorporate plenty of familiar instrumentation from the songs throughout the game, so it manages to balance the composition’s “otherness” by making it simultaneously familiar. It doesn’t hurt it’s a great track either – super fun and catchy! Side B formally closes out on the (very familiar if you were rubbish at the game like me) game over. Nice. All this exposition is particularly interesting because Metal Slug’s pyrotechnics often obfuscate these elements, and yet the crazy synth leads and brass, along with those smashy drums, remain incredibly fresh and familiar. Site co-founder Inferno and I have sunk more hours and cash into Metal Slug than we can possibly quantify between playing it at the arcades, playing the Saturn port, picking up compilations on the PlayStation 2 and even playing it at home on an MVS setup, so it was amazing to take the time to enjoy the awesome soundtrack free of the usual clutter, and I was personally really surprised with how enjoyable it has been to take the time to sit down and really listen to it on a turntable. 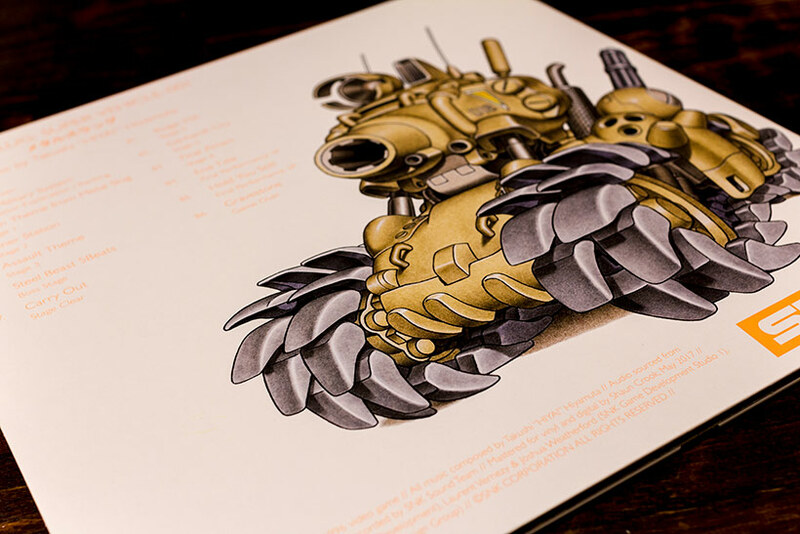 The actual release itself is also fantastic – Metal Slug’s artwork draws from Western styles in many senses, but there’s also an element of Shirow-like military obsession, particularly with the titular tank’s mechanical designs that echo Dominion Tank Police, and these source materials are celebrated beautifully. The front cover sports the iconic Metal Slug character art and logo with a lovely translucent obi, while the rear cover continues the surprisingly clean design with an almost minimalist combination of pomp Metal Slug tank with super clean text noting track listings and logos. This is a gatefold release and features a stunning panorama from SNK’s archives, while the art elements from the front cover are recreated in the lithographic print. The record itself comes in a variety of finishes (we’ve gone for opaque yellow), and true to style we get a little omake loop at the end of Side B. 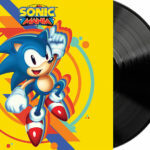 Following on from Sonic Mania, there’s also a download code for lossless (FLAC) and high-bitrate MP3 digital versions of the soundtrack which is a welcomed addition – it would be great to see these becoming more prevalent in future releases. 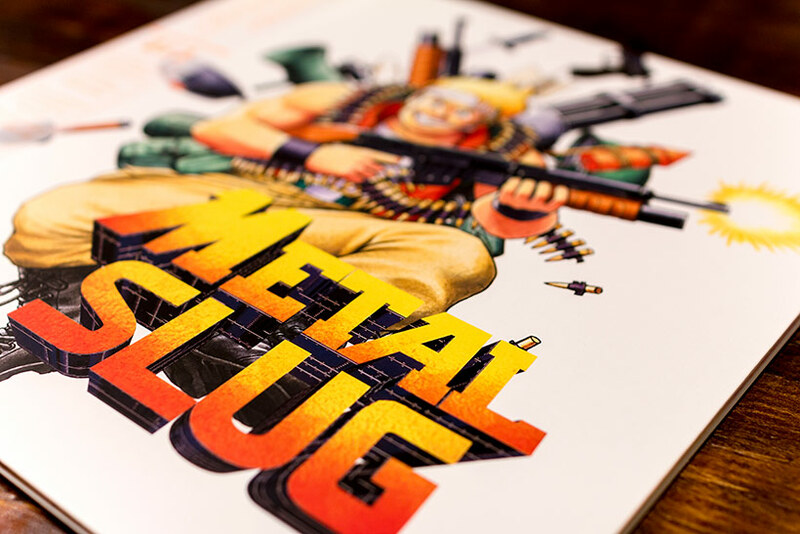 Metal Slug blasts its way onto vinyl in a subversively humble fashion, loading an amazing soundtrack in beautiful packaging. 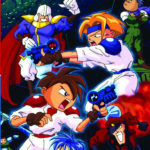 Data Discs have done an excellent job mastering and producing their latest vinyl release, and in doing so, much like Gunstar Heroes, have drawn much-needed attention to Hiyamuta’s impressive soundtrack which is often missed due to the game’s hyperbolic visuals. Highly recommended.